Light rooms with large window fronts and plenty of daylight, that can be used flexibly for your individual needs – these are the requirements for your meeting to be a success. 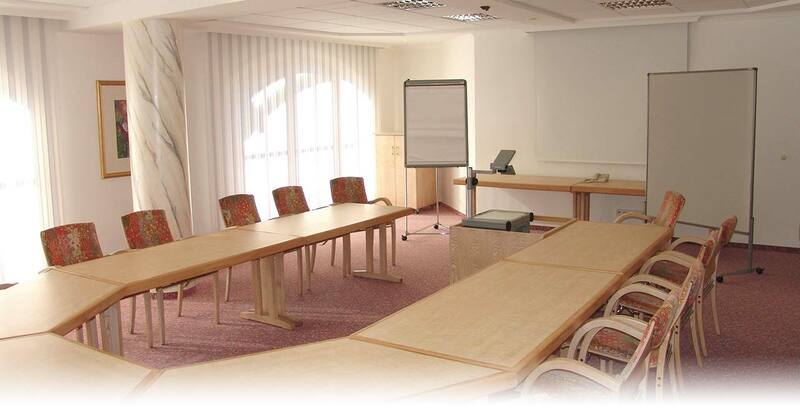 The Glocknerhof offers three seminar rooms in total. For special events the conservatory can also be used as a venue. The bar is ideal for breaks and for welcoming participants. Costs: Free of charge when you stay overnight and/or in combination with restaurant bookings, such as breakfast, lunch, breaks (savoury sandwiches, sweet pastries, drinks, etc. ), lunch, afternoon buffet or dinner. Our tip: Our gourmet full board already includes rooms, use of the meeting rooms and meals. Sunny position, can be darkened, window ventilation possible, doors to the outside, stage, lighting equipment, sound system, Wi-Fi available. Ideal for celebrations & weddings: please book early enough!